Only one driver in the history of the FIA World Rallycross Championship has ever taken a clean sweep, by setting the fastest time in every qualifying session and winning the semi-final and final. That driver is Norway’s Andreas Bakkerud, who achieved the feat at his home round of World RX at Hell 12 months ago. 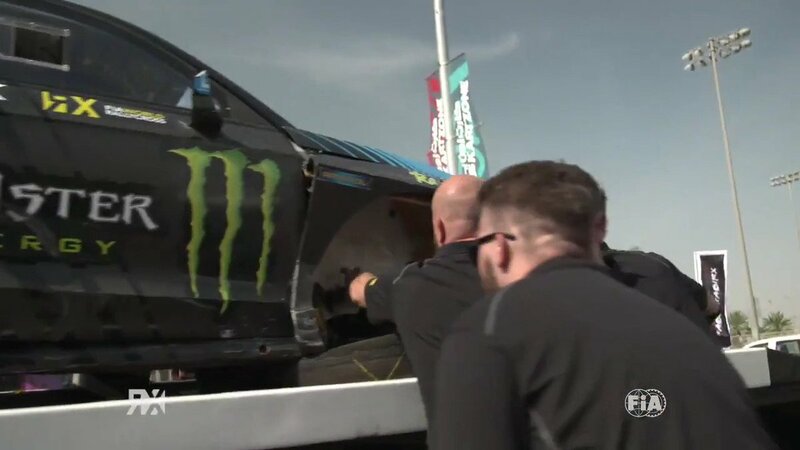 Ken Block’s Hoonigan Racing Division team mate was accompanied on the front row for the final by Russia’s Timur Timerzyanov and as Bakkerud led on lap one, Timerzyanov took his joker, joined by Sweden’s Mattias Ekstrom and France’s Sebastien Loeb. Sweden’s Timmy Hansen and Norway’s Petter Solberg perused Bakkerud on the opening lap. Solberg took his joker on lap three to remain ahead of Loeb but dropped behind Ekstrom, before Hansen took his joker on lap five and stayed second, as Timerzyanov saw his hopes of challenging for victory expire with a puncture. He ended up sixth. Bakkerud took his joker on the final lap and scored his first home win in World RX, and the first for the Ford Focus RS RX. Hansen and Ekstrom joined Bakkerud on the podium. The 2016 event is also remembered for a dramatic first corner roll in the qualifying races by Britain’s Liam Doran, racing a JRM Racing Mini. Sweden’s Kevin Hansen won the FIA European Rallycross Championship for Supercar final, Norway’s Thomas Bryntesson won the RX Lites Cup final (now called the RX2 International Series) and Sweden’s Philip Gehrman won the FIA European Rallycross Championship for TouringCar final. Read the official preview to this year's event here.